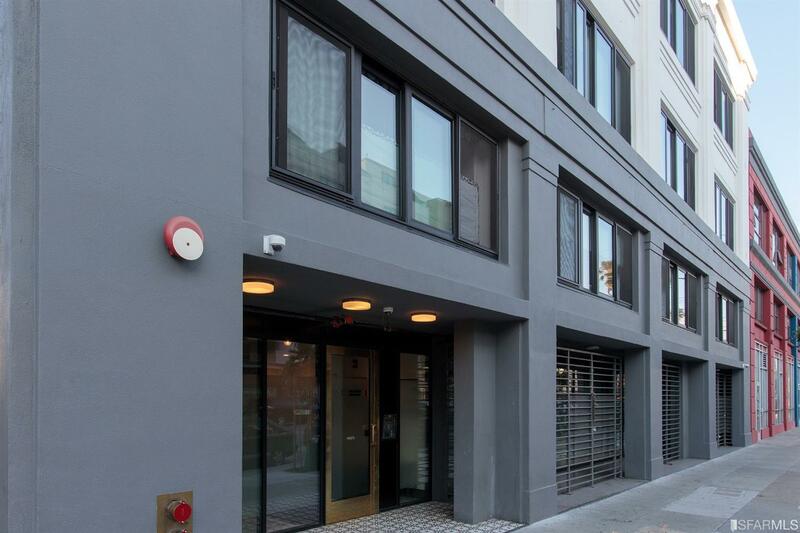 Converted from a warehouse to condos in 2015, M1875 is home to 39 residences at 1875 Mission St. in the Mission neighborhood of San Francisco. Home sizes at M1875 go up to 840 square feet. Homes include studios, one-bedroom homes, and two-bedroom homes. Building amenities include a rooftop lounge with dog run, lounge area, heated pool, and wifi. Originally built in 1925, this building was most recently a warehouse before being re-imagined as a boutique style hotel home to 39 condo residences ranging from studio to two-bedroom floor plans. M1875 is home to 10 studio homes (up to 640 sq.ft. ), thirteen one bedroom homes (up to 840 sq.ft. ), and sixteen two bedroom homes (up to 840 sq.ft.). The building features a heated pool with an adjacent lounge on the roof, and M1875 is also a very dog-friendly building with a rooftop dog-run for Fido. The residences are compact, featuring galley style kitchen and making extensive use of frosted glass to create semi-private spaces. Original building details like mushroom cap concrete columns are juxtaposed against modern materials, and the location is about as central as you can be in San Francisco. M1875 is within a short walk to public transit, and the surrounding neighborhood provides access to your everyday amenities without a need for a car. The building was originally built in 1925, and converted to condos in 2015.